A local artist has donated a special piece for this event. Marcio Decker has completed the painting for our event. The piece is titled "Empowerment" and was created specially for the Black & White Ball. The piece is framed in black molding and the size is 31"h X 25"w and it is acrylic paint on canvas. Raffle tickets are $5.00 a piece or 5 tickets for $20.00. we will still hold the raffle at the end of the evening on Saturday October 18. The winner of the raffle will receive a cash prize equal to 60% of the funds collected for the raffle. 40% will go to the Black and White Ball. To purchase raffle tickets, click on the "Purchase Tickets" button below and follow these instructions. 2. In the next box "Make an additional donation!" enter an amount in $5.00 increments. For every $20.00 that you enter you will receive five drawing tickets in your name for the drawing. 3. In the notes section please indicate that you are purchasing raffle tickets for the painting. 4. Then proceed on to check out as prompted. Be sure to enter all of your contact information where asked along with an e-mail and valid physical address so that we can notify you of your winnings. The Black and White Ball is dedicated to raising monies for those local organizations treating HIV/AIDS in Northern Nevada and the Tahoe Basin. This mission is accomplished by an annual fundraising event. If you are a member of the media or interested serving as a board or committee member for the Black & White Ball Committee. 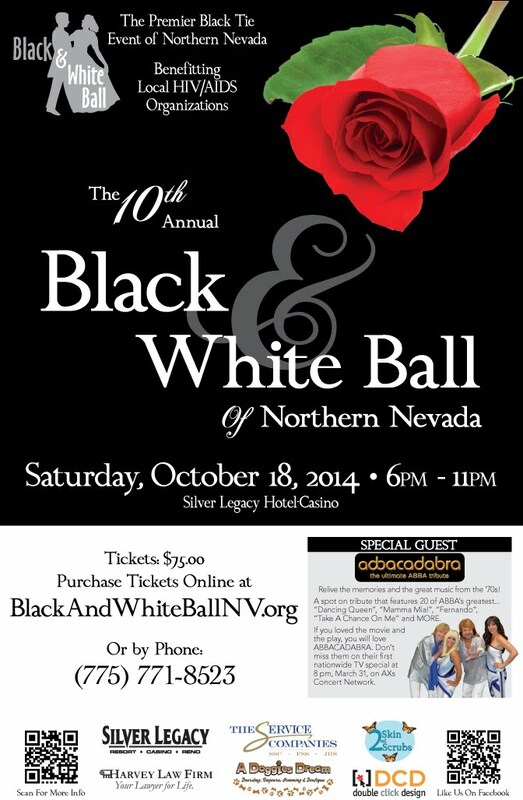 Please contact Jack Owens at Jack.Owens@blackandwhiteballnv.org.